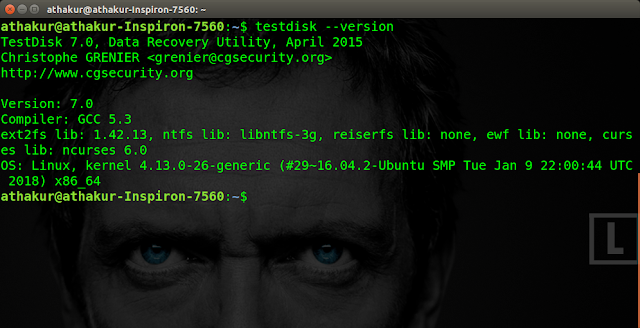 I erased one of my partitions recently which was mounted on my /home path in Ubuntu Linux. However I was able to restore the partition back and life was back to normal. I was trying to install Windows and the installer (from USB) was forcing UEFI mode instead of Legacy. So the NTFS partition did not work out and Windows could not be installed since partition was of type MBR instead of GPT (which is required by UEFI mode). 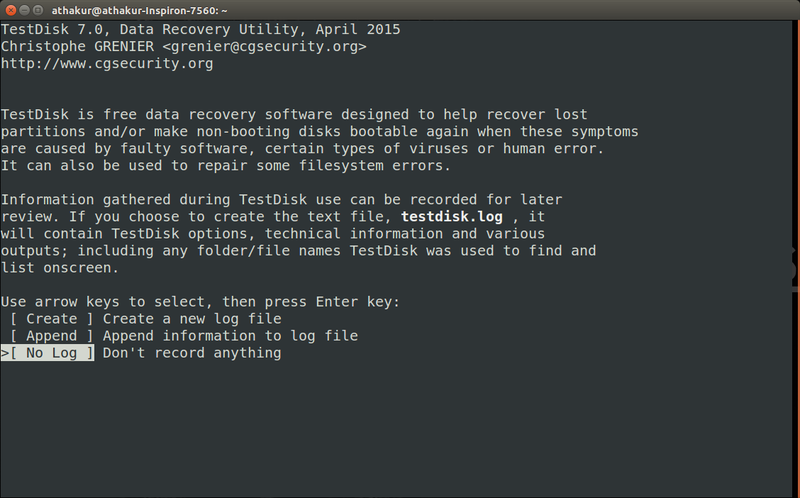 So when I tried to make it GPT it started erasing entire disk instead of the disk partition I had selected. 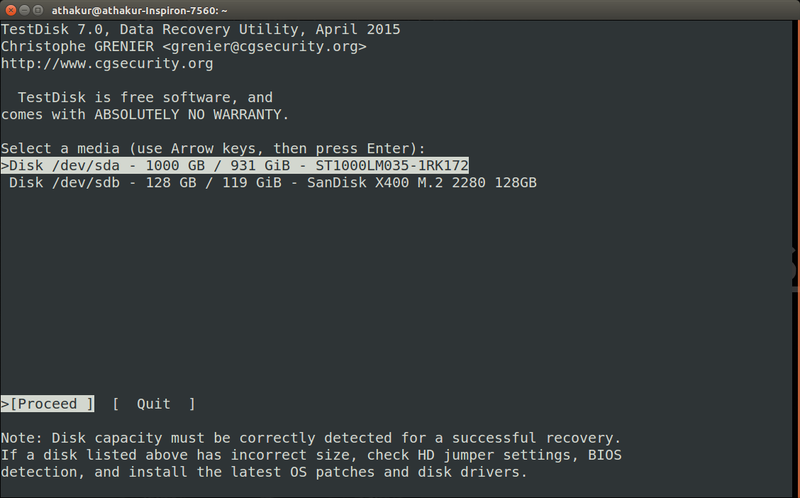 I stopped the process immediately but my partitions were gone and it was one disk without any partitions. 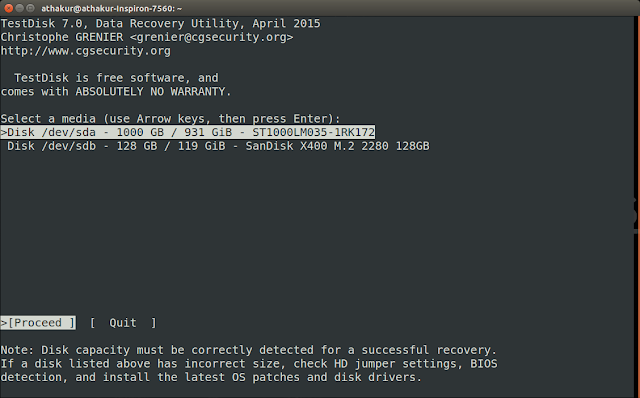 As I mentioned earlier I was able to restore my previous partitions and data was intact. In this post I will show you how we can do this. installed so it is a much simpler option. But if you already have a bootable USB with ubuntu then you can use the same like I did. Boot your machine from this USB drive. NOTE : If you do not have a bootable USB you can create one using unetbootin. After you boot from Ubuntu live USB go to "Software and Updates" and under Downloadable from internet select the entry with "Universe". 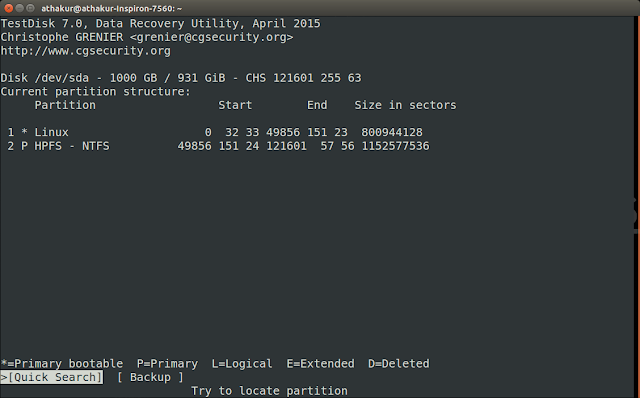 Select your partition table type. Usually it's Intel. 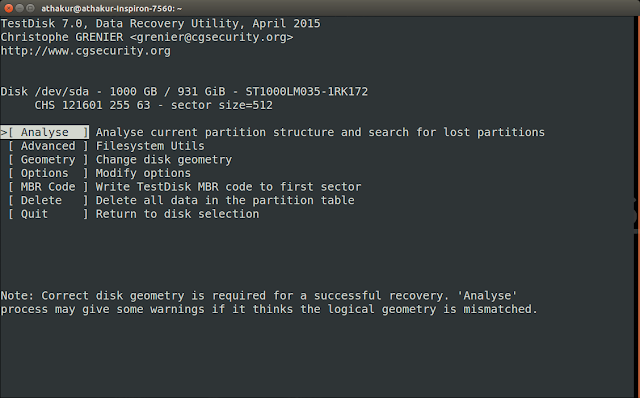 Select "Analyse" and then "Quick Search". 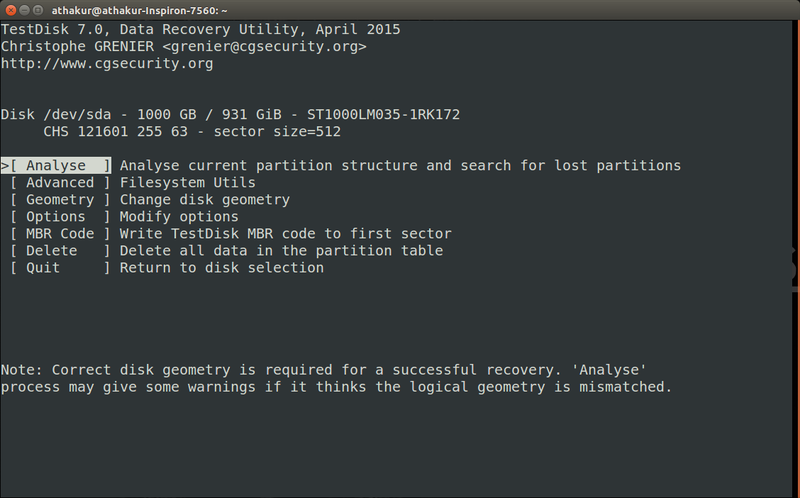 Your drive will be analysed and you will see a list of all found partitions. Press Enter. On the next screen you have the option to either perform a second Deeper Search, or Write the current partition table to disk. If the quick search was successful, choose Write. That's it. 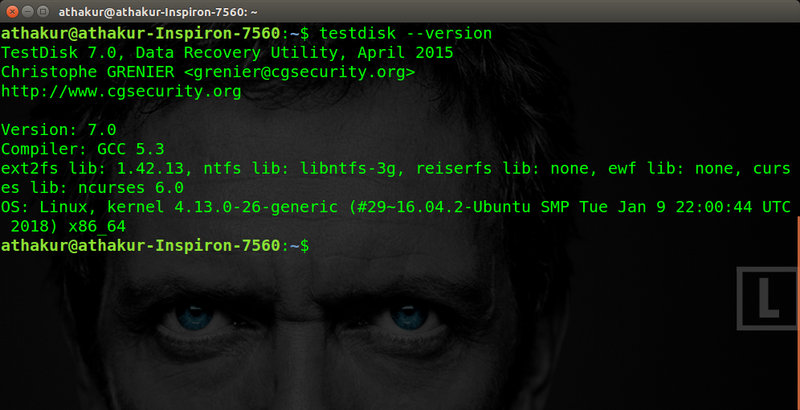 Your partitions should be restored.